The Society had a lovely afternoon discussing ‘Visions of Die Walküre,‘ when Wagner enthusiasts spoke of varied productions across the map, and three distinguished speakers (plus yours truly) gave some formal shape to the issues. Neville Hannaford reviewed leading recordings, from the Chereau/Boulez centenary production at Bayreuth to the visually impressive (albeit quirky – Hunding’s hut is represented as a circle of stones) but weakly-acted Valencia offering. 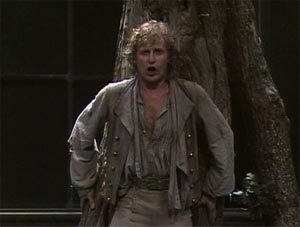 He selected Bayreuth as the best naturalistic version, featuring the best Siegmund (Peter Hoffman) and Hunding (a formidable Matti Salminen, who also appeared at Valencia). Neville suggested that the Met staging in 1990 was profoundly undermined by the casting of Gary Lakes and Jessye Norman as the incestuous twins, and we agree – the great Jessye would be a better Brünhilde, we think. He found the contrived 1992 Bayreuth entry annoying but the 2007 Aix-en-Provence work conducted by Simon Rattle rather effective. His impression of the recent Carter concert in Adelaide was that it held up against the work of these famous conductors (including Levine, Barenboim, Mehta) despite some uneven moments. Geoff Seidel, who has 7 Rings under his belt, spoke in typical accomplished and erudite fashion about the recent staging in Weimar, providing some interesting background and vision of this small city of great historical and cultural interest (where Liszt, Bach, Goethe, Schiller and, indeed, Wagner, toiled at important art). He showed footage of a tacked-on ‘prologue’ to the Weimar performance, that had some expository readings and Wotan wrangling several little children, including an infant Hagen, who screamed like an air-raid siren. (Modern German Opera Directors really do need to get over WWII). Brian Angus, of Bachtrack fame, gave an entertaining account of a post-modern, 2014 Die Walküre in Nrnberg, mounted on a small scale but nevertheless effective, well-sung and discreetly but sharply conducted by Marcus Bosh. Containing more blood than Macbeth, it featured post-punk Valkyries, a shop-a-holic Fricka, and Hunding’s (2 storey) hut amid a tyre yard. The point was made by Brian, and Geoffrey, that in contemporary German productions, they simply don’t get the point of traditional staging. Brian was also impressed with the rendering (by Ekaterina Godovanets) of Sieglinde’s change from timidity to brazen courage, and Rachael Tovey’s commanding Brünhilde, dressed in a red leather coat, riding a hobby-horse. I have written an account of the ASO evening with Nicholas Carter, as well as the ASO’s performance of Act 1 of the Die Walküre, so I will just add some brief comments. I suggest that the first full work in the Ring Cycle is thematically the linchpin of the entire drama: the incestuous coupling of Wotan’s progeny, Sieglinde and Siegmund, which will produce the ‘boy-god’ Siegfried, and Wotan’s willingness to will the destruction of the gods (including himself). It is also the part of the cycle I like the most, when Wagner (full of reflexive passion and amoral spontaneity when he sketched the poem for Act I in 1851 – we can blame the Master, and perhaps to some extent Mathilde Wesendonck for that), moved from Gods and Goblins to the world of Man and Woman. It is the humanity of Die Walküre which has caused people (for example, Ralph Vaughan Williams), seeing it for the first time, yet to feel as if it is already very familiar to them. It has been suggested that Wagner identified with Siegmund whilst writing the libretto (with Mathilde as his Sieglinde) and with Wotan also, seeking wealth and power whilst refusing to renounce his form of love. 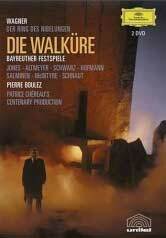 Die Walküre is has high emotional and dramatic appeal. It is full of excitement, taboo, grandeur, and human suffering, need, desire and dignity. Act I was well chosen for a non-theatrical performance, albeit there was some animation: it evolves in a very simple setting, Hunding’s forest hut, the sword in the great ash tree, and on Feb 13 at the Festival Theatre, all we required were the 3 key roles and the ASO to adorn the stage. Michelle Young as Sieglinde and Simon O’Neill as Siegmund were magnificent – music and poetry synthesised – almost every nuance of the verse seemed reflected in their vocal lines. The complex tropes at play when Siegmund draws the sword – suggestive of death and re-birth, in that it foreshadows both his death and Siegfreid’s conception – was brilliantly sung and played as was the two lovers’ closing duet. We are very pleased that the ASO has appointed Nicholas Carter as Chief Conductor. He is leading the way to revivify the performing of great music in SA and is deeply immersed in the major repertoire from his work in Germany, which continues. Thus he has a deep understanding of the Wagnerian World and has the ambition and stamina to present it, ably supported by an orchestra that has the ability to aid that effort once unleashed, as they proved so well with the Adelaide Ring. Nicholas gave a stimulating talk a few weeks ago at Uni SA, in which he noted that Germany’s revival from the ruins of WWII was principally, at least initially, cultural. 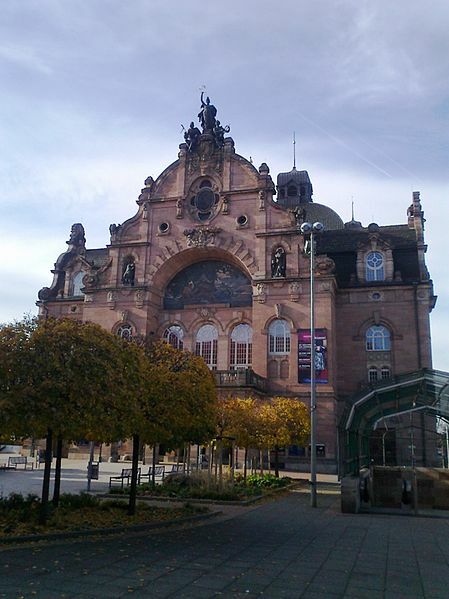 He also observed the role of a city’s orchestra was to help the city sparkle and develop its full personality. I did not pose the question at that event, but dare one suggest that Adelaide’s and SA’s revival might also be led by cultural initiatives? Such as redressing the wrong of shelving, as we did in 2008, a reprise of the Adelaide Ring?